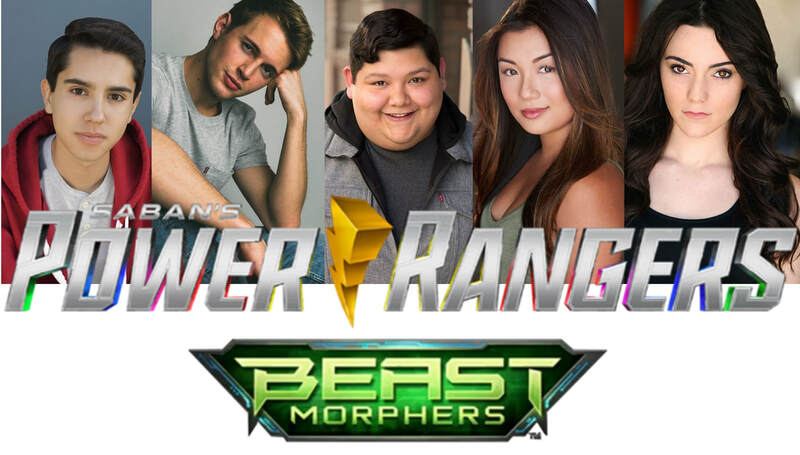 Here's another Power Rangers Beast Morphers news: Hasbro has announced the additional cast for the upcoming new series that will premiere this February 2019. And here they are: Abraham Rodriguez as Nate, Colby Strong as Blaze, Cosme Flores as Ben, Kristina Ho as Betty and Liana Ramirez as Roxy. Rumors has it that Blaze and Roxy might end up as the american version of Enter and Escape. The main cast for the series will be lead by Rorie Travis as Devon the Red Ranger, Jasmit Baduwalia as Ravi the Blue Ranger and Jacqueline Scislowski as Zoey the Yellow Ranger.